With the release of Version 2.1, Contact Form 7 Skins (CF7 Skins) introduces an easy way to change the type of Contact Form 7 (CF7) Form Tag, while creating or changing a form for your WordPress site. In this article, we cover how you can change the CF7 Tag type in the CF7 Skins Visual Editor quickly & easily. With CF7 Skins you now have two easy ways to change the type of CF7 Tag. In the Skins section of your Contact Form 7 form, go to the Form tab. Find the form field you want to change. Click the CF7 Tag drop-down menu & select the required CF7 Tag type. Tip: With CF7 Skins you can choose from a range of compatible Contact Form 7 Styles for your forms. 1. Click the edit icon to open the Edit dialog box of any CF7 field. 2. Click the CF7 Tag drop-down menu & select the required type. Once you are satisfied with your changes, save the form. 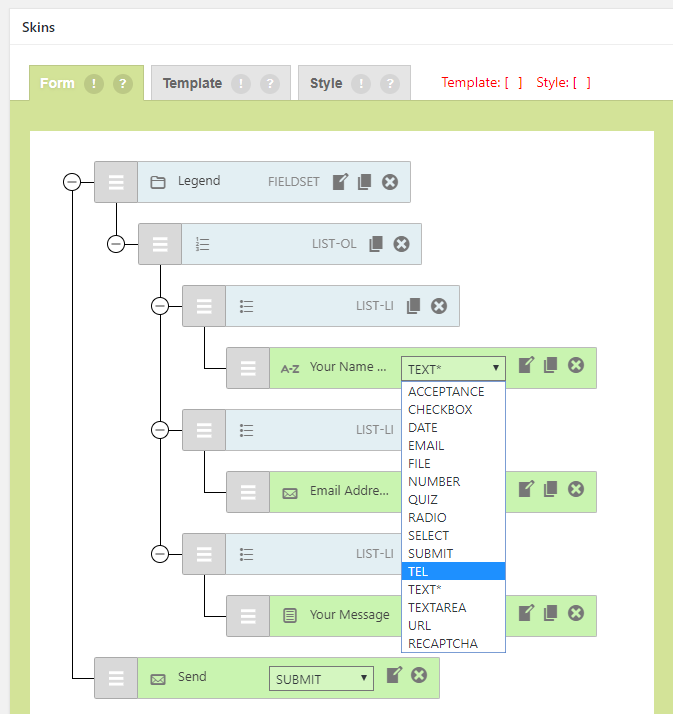 Tip: We also have a range of Templates available to make your form creation process quicker. 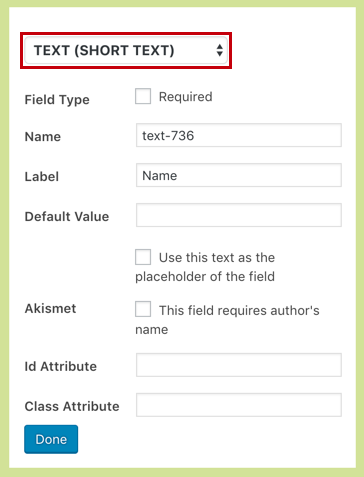 In Contact Form 7, there are different CF7 Tags available to create a form. These tags are code snippet that represents text input fields or submit buttons. For example, in the image above, [text* your-name] is a CF7 Tag that represents a text input field called your-name. Before Version 2.1, if you had to change the type of a CF7 Tag, you would have to delete the existing tag first. Then, drag and drop the required type of CF7 Tag, edit the details, and save.